Déise Men’s Shed provides people with a place to share ideas, have a chat, and learn from each other. The Déise Men’s Shed provides a much-needed resource within the community. Our Shed provides people who find themselves out of work, from no fault of their own, or retired with a place to be productive, alleviating some of the stresses associated with being idle. 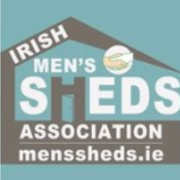 A Men’s Shed is any community-based, non-commercial organisation which is open to all men where the primary activity is the provision of a safe, friendly and inclusive environment where the men are able to gather and/or work on meaningful projects at their own pace, in their own time and in the company of other men.